How to Make Blogger Blogs Mobile Phone Compatible? .If you are running a blogspot blog then you should think about making your blogger blogs mobile friendly. Actually today i was seeing my Google Analytic account and i was surprised when i saw in the browser details that 15% of the users are using mobile browsers. I also noticed that my blog is getting more visitors from the US region, where majority of users using mobile phones, tablets and iPhones. So i have decided to make my blog(http://bloggerhowtotips.blogspot.com) mobile compatible. Below here you will find how to make blogger blog mobile phone compatible. and replace it with this code. 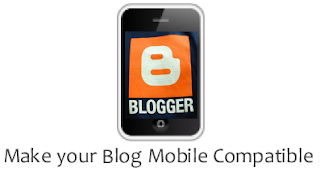 Get free information related to "How to Make Blogger Blogs Mobile Phone Compatible". Is there any way to preview how the blog will look in a mobile device? Then Maybe i Could Figure This Out! @TheEmoLab, If you don't find it then add entire section given in step 2 :)after <head> tag.